Since our foundation in 1952, we have remained family owned and operated, servicing the Central Coast with unmatched and relentless sanitation service for well over 60 years. We pride in our reputation built solely on honesty, reliability, and an outstanding work ethic; as veterans in the sanitation industry, we have taken our 60+ years of experience to perfect the art of customer service. We have proven to our customers time and time again that we are a team of dependable Paso Robles septic engineers, with an unrelenting desire to take all of your septic troubles and dispose of them in the timeliest and professional way we can, after all, here at Ingram and Greene Sanitation, customer satisfaction is our #1 priority. 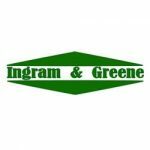 Ingram and Greene Sanitation has been servicing the Central Coast longer than any other business in our field; our owner and operator shows up at all of our job sites to make sure things are going as intended. For your peace of mind, we are completely licensed and we also have a General A Engineer contractor. With our high quality products and competitive pricing, we are the best choice for Paso Robles septic service and septic service for all of the Central Coast. The longest operating septic tank servicing company in SLO County When working in the sanitation industry, it’s crucial to know what you’re dealing with. 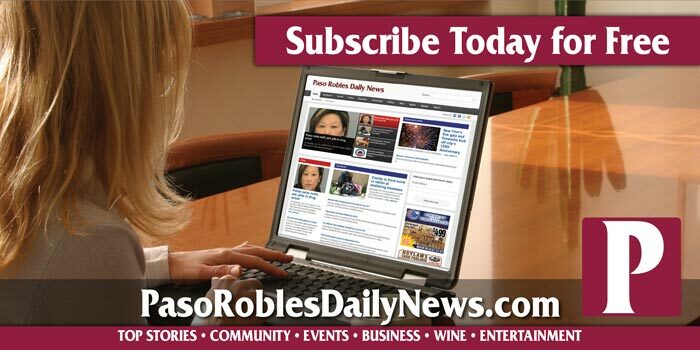 Here at Ingram and Greene Sanitation, we have a thorough knowledge of basic Paso Robles septic systems. The basic septic system consists of a tank and drain (or leach) field. One might say that the tank acts as a “solids trap.” Inside the tank, solids are separated from the liquids and help to allow bacteria to break them down. Once broken down into liquid form, they pass into the drain field where they are filtered into the soil. I used Ingram & Greene Sanitation when I was having some backups in my lines. Roger was very professional and respectful of my home and property. He quickly diagnosed problem and with a little digging, he fixed it without causing a mess. Roger even through in some free samples of septic bacteria, to help system run more efficiently. This is a trustworthy company. After a different fly by night company tried to convince me that me leach line had failed, these guys came out and said it was fine. HONEST. Will never use anyone else. Amazing service!! Called last night just before 5pm and they were here today at 1:30pm. Super fast, super clean, very knowledgable, and great customer service! Good to know there’s still companies like this here on the central coast. Will definitely be referring my friends to them and will be using them for my septic maintenance regularly!!! Since our foundation in 1952, we have remained family owned and operated, servicing the Central Coast with unmatched and relentless sanitation service for well over 60 years. We pride in our reputation built solely on honesty, reliability, and an outstanding work ethic; as veterans in the sanitation industry, we have taken our 60+ years of experience to perfect the art of customer service. We have proven to our customers time and time again that we are a team of dependable Atascadero septic engineers, with an unrelenting desire to take all of your septic troubles and dispose of them in the timeliest and professional way we can, after all, here at Ingram and Greene Sanitation, customer satisfaction is our #1 priority. Ingram and Greene Sanitation has been servicing the Central Coast longer than any other business in our field; our owner and operator shows up at all of our job sites to make sure things are going as intended. For your peace of mind, we are completely licensed and we also have a General A Engineer contractor. With our high quality products and competitive pricing, we are the best choice for Atascadero septic service and septic service for all of the Central Coast. The longest operating septic tank servicing company in SLO County When working in the sanitation industry, it’s crucial to know what you’re dealing with. Here at Ingram and Greene Sanitation, we have a thorough knowledge of basic Atascadero septic systems. The basic septic system consists of a tank and drain (or leach) field. One might say that the tank acts as a “solids trap.” Inside the tank, solids are separated from the liquids and help to allow bacteria to break them down. Once broken down into liquid form, they pass into the drain field where they are filtered into the soil. Since our foundation in 1952, we have remained family owned and operated, servicing the Central Coast with unmatched and relentless sanitation service for well over 60 years. We pride in our reputation built solely on honesty, reliability, and an outstanding work ethic; as veterans in the sanitation industry, we have taken our 60+ years of experience to perfect the art of customer service. We have proven to our customers time and time again that we are a team of dependable San Luis Obispo septic engineers, with an unrelenting desire to take all of your septic troubles and dispose of them in the timeliest and professional way we can, after all, here at Ingram and Greene Sanitation, customer satisfaction is our #1 priority. Ingram and Greene Sanitation has been servicing the Central Coast longer than any other business in our field; our owner and operator shows up at all of our job sites to make sure things are going as intended. For your peace of mind, we are completely licensed and we also have a General A Engineer contractor. With our high quality products and competitive pricing, we are the best choice for San Luis Obispo septic service and septic service for all of the Central Coast. The longest operating septic tank servicing company in SLO County When working in the sanitation industry, it’s crucial to know what you’re dealing with. Here at Ingram and Greene Sanitation, we have a thorough knowledge of basic San Luis Obispo septic systems. The basic septic system consists of a tank and drain (or leach) field. One might say that the tank acts as a “solids trap.” Inside the tank, solids are separated from the liquids and help to allow bacteria to break them down. Once broken down into liquid form, they pass into the drain field where they are filtered into the soil.